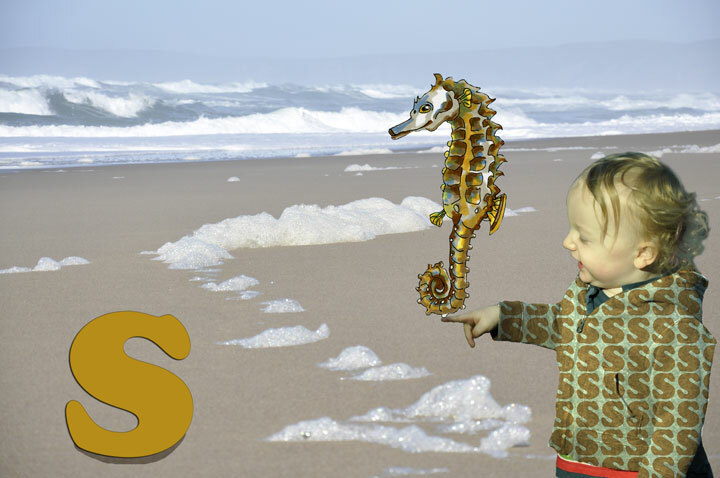 The rooster took Cole to the Sand at the Surf's edge near a Sepia-colored S and left him there. Very Soon a Seahorse came to See him. "You can Skip to V from here," the odd little fish said. Your brother is visiting T and U so you don't have to go there too in order to finish the alphabet.